Two former employees at HMP Wymott in Leyland are to face a trial over allegations they conspired to commit misconduct in a public office. Jennifer Forshaw, 28, who worked as a teacher for the prison service, is accused of committing misconduct by having an affair with an inmate. 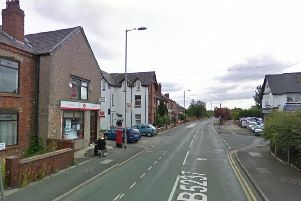 During a brief hearing at Preston Crown Court, Forshaw, of Barnsley Street, Wigan, entered not guilty pleas to charges of misconduct in public office, conveying a prohibited mobile phone into a prison and conspiracy to commit misconduct in public office. Prison officer Emma Blake, 28, also of Barnsley Street, Wigan, has been charged with conspiracy with Forshaw to commit misconduct in public office by failing to disclose to a supervisor that she knew an inmate had a mobile phone and had contact with a person outside the prison. The court heard the offences are alleged to have been committed between May and June last year. The trial is expected to start on June 12.